DineLA is in full effect this week and I can see that a lot of restaurants are really busy during an otherwise slow season. Last night we had a lovely tapas dinner at Tres by Jose Andres and tonight we had the prix fixe at Scott Conant's Scarpetta. The food at both restaurants was completely divine and I love that DineLA gives the opportunity to try these restaurants at a reduced price. It's woth the extra calories to enjoy as any restaurants a possible during this city wide event. 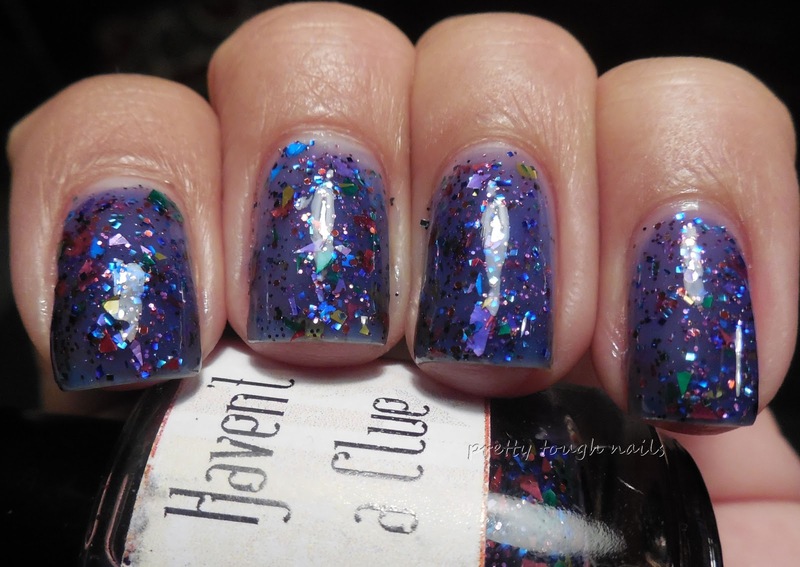 Tonight I have a lovely blue jelly based glitter by LynB Designs called Haven't A Clue. 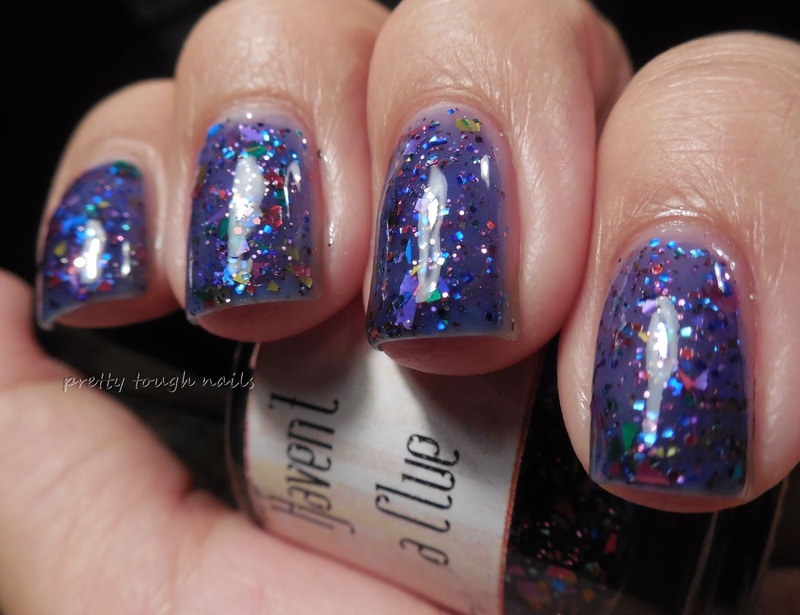 Blue jelly based glitters are a dime a dozen these days but I was really drawn to this one because it had shredded glitter as opposed to the typical hex glitter found in most indie polishes. 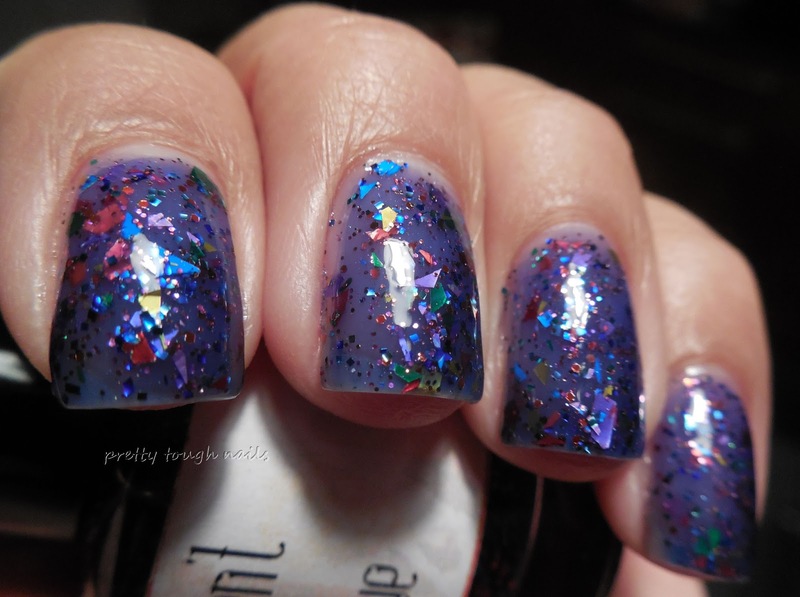 The shredded glitter really add an element of fun to this, especially in all of the bright colors. The jelly base was nice too, it's a great shade of blue without becoming too dark. I used three easy coats in these pictures and had no trouble with application or the formula. 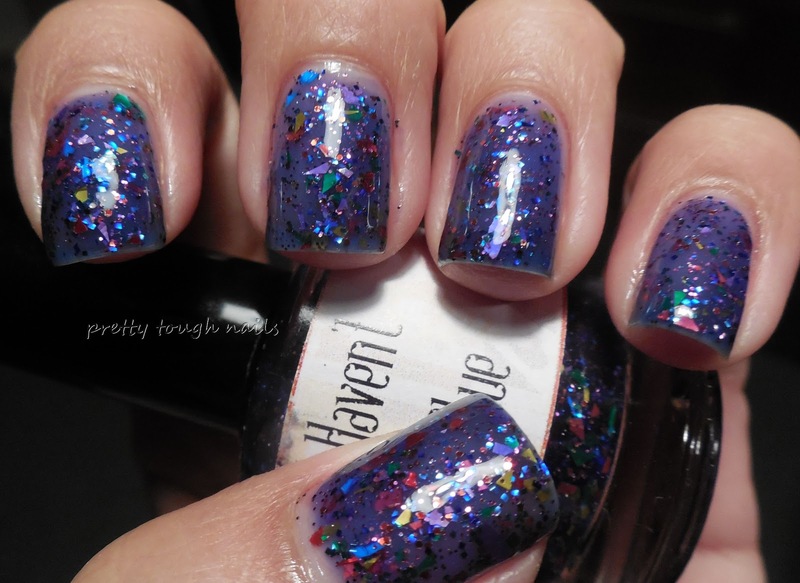 The glitters spread across the nail evenly and I wasn't overwhelmed by the amount either. 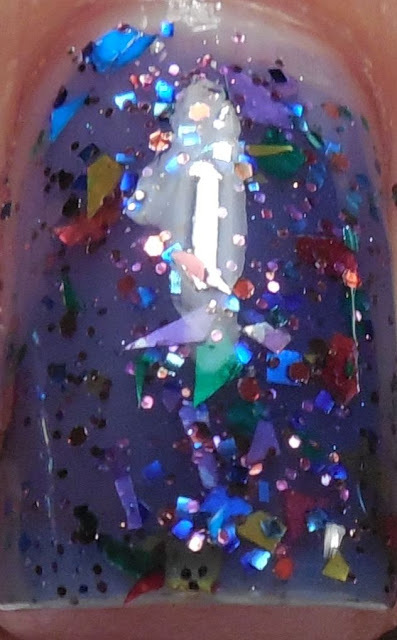 I finished with a layer of topcoat to smooth it out and add shine. Is this glitter fun or what?? There's probably a million different shapes in there and I love it! Do you know of any other polishes with shredded glitter like this? Maybe the models own mirrorball collection have similar shredded glitter?